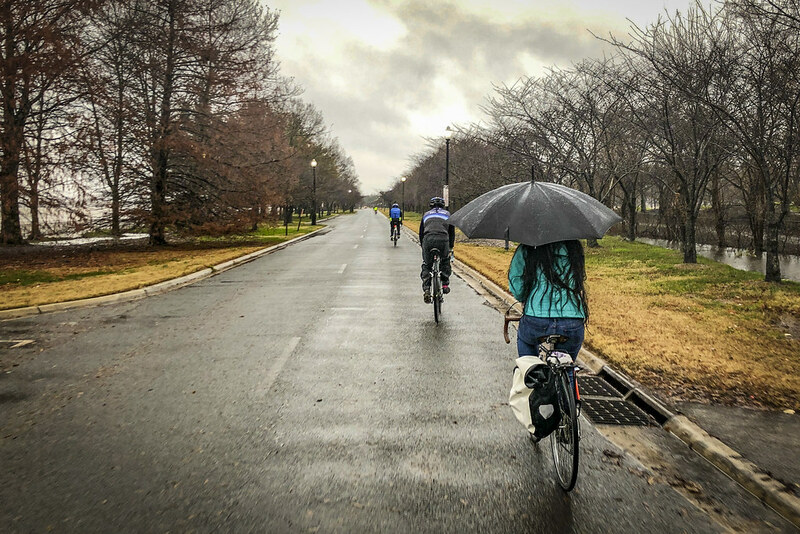 Thread: 2018 Hains Point 100 - December 16th! You do realize that this year I paid in advance as opposed to at event. That means that the weather is going to be awful despite the current forecast which just says cloudy. Now you've gone and jinxed it. New weather forecast is 50% chance of rain all day with temperatures in the mid-40s. It SHALL not rain. There I said it. All rain juju is reversed. At least I don't use Trollheim to get to HP. Glad you all got it done Sunday! I thought I'd head down (to buy the Freezing Saddles bands) Sunday early afternoon -- but it was totally cleared out by the time I got there! Dominion Cycling Photography has posted their pictures from the HP 100, with several photos of Forum folks: https://dominioncyclingphotography.z...com/p158212898.